One or two 10′ Vacuum hoses, (depending on manifold) with 3/8 brass bag fitting and quick disconnect between manifold and bag as explain below in product description. Vacuum manifolds allow multiple bags to be operated off one pump at the same time. 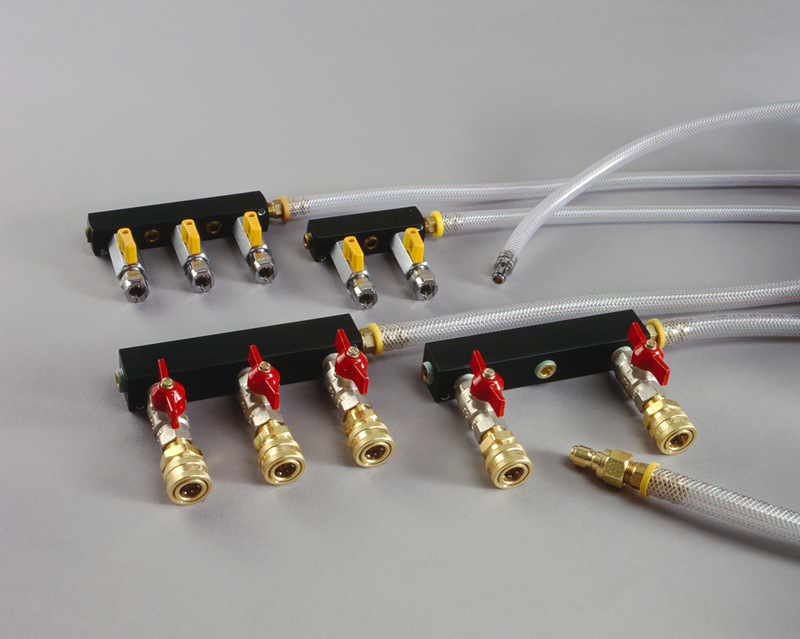 Our manifolds come with the same quick disconnects that are on the vacuum pumps so installing a manifold is quick and easy. Each port has a shut-off valve so bags can be operated individually. 2 port manifolds come with one extra hose to the bag and 3 port manifolds come with two hoses. Available in 6 and 10 CFM flow rates.